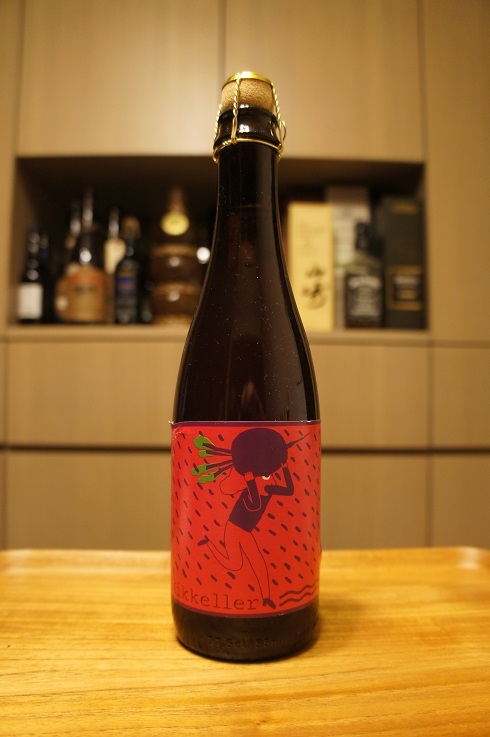 Brewer Description: (from bottle) Sour ale brewed with beets & aged in oak barrels. Intro: A 375ml corked and caged bottle, with a best before date of 14th August 2027. Poured into a Lost Abbey teku glass. Appearance: A lightly hazy reddish orange colour with a one finger tanned orange head that dissipated fairly quickly and left only sparse to no lacing. Aroma: Tart, red berry fruits, funky, leather, with hints of lemon and oak. Taste: Very sour, tart, lemon, red berries, funk and oak with maybe just a hint of beetroot. Overall: Seems to be one of the more sour beers in the Spontan lineup that I’ve tried. Unfortunately the beetroot flavours couldn’t really come through and were rather weak, and instead I was getting quite a bit of red berries. Still, quite nice, but not what I was hoping for given its called Spontanbeetroot.